Even though this song has minimal lyrics, I still like to read them, and thought you might too. I find that reading them while listening to the song, helps me get in deeper. Awesome lyrics! i know they mean something coming from Adam. He touches me deep in my soul every time he sings…. 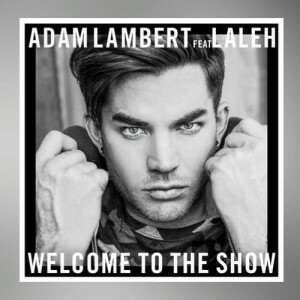 Honestly, I am perplexed and a bit frustrated by Adam releasing a new single and debuting it on Idol. I fear that Adam didn’t get the bump he had hoped for. The song is okay in comparison to his other hits and probably won’t be one of my favs. I really had hoped that he would have performed “The Original High” which I love. It’s the song that I have on repeat especially when I drive up Interstate 5 to LA to go see a show at any one of the original clubs along Sunset. Just my 2 cents. I’m with you Jeanine. I love Adam to the moon and back and listen constantly to ALL his music! I do like this song, but wish he would have showcased himself instead of basically introducing Laleh. My feeling is that since Adam is such a kind and wonderful person, no doubt in my mind that people take every opportunity to jump on his bandwagon. If I’m correct, I think it was Max Martin, who he has worked with quite a bit, that introduced him to this young lady and edged her into Adam’s life with intentions of introducing her to the U.S.audience, at the compromise of Adam’s performance of HIS music. I think Adam may feel indebted in some way to these people he has worked with. I wish he would realize that it is HIS phenomenal talent and magnificent voice that is responsible for his fame. Him and only him!!!!! I’ll be seeing him March 30th in Denver at the Paramount. Getting very excited!!! Gosh darn it I missed his performance on American Idol because I was intransit from work. But I saw it on youtube. He did an awesome job. They did an awesom job! Luv the song! Luv the lyrics !